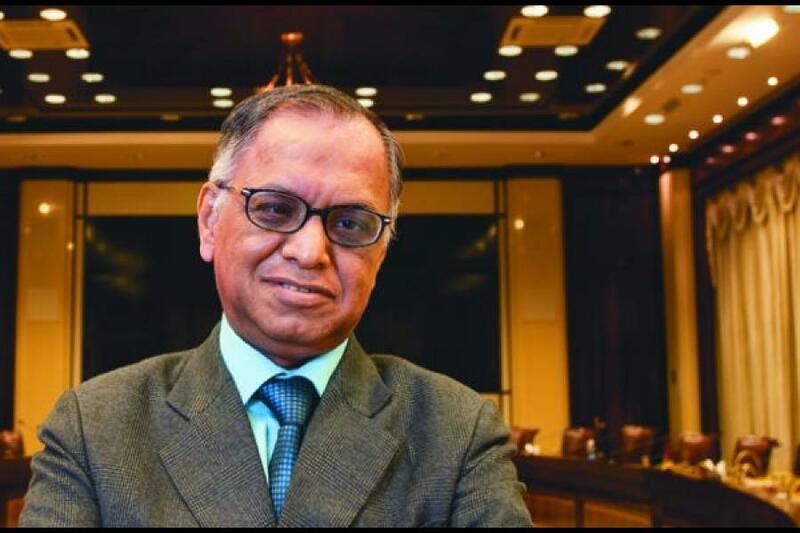 On Saturday as N R Narayana Murthy Chaired his last Infosys AGM, he also made another big announcement. For the first time in Infosys’ thirty-year-history, the company had announced the appointment of four new directors on the same day. Three among these CFO V Balakrishnan, Ashok Vemuri (Head of BFSI), and B G Srinivas (Head of Manufacturing and Europe) are internal candidates. Unless they trip or make some serious gaffes, these are the three names from which the Infosys Board will select the first non-founder CEO when S D Shibulal (CEO in waiting) retires in five years. My guess is that one of them will be elevated to the COO’s role in two years, and then work closely with Shibulal for the remaining three years and get groomed for the top job. So far there have been only three other non-founders to serve on Infosys board – Phaneesh Murthy, Mohandas Pai and Srinath Batni. At least two of them thought they could be made CEOs till fate willed otherwise. Given the timing of the announcement, it is clear that Murthy played a crucial role in the selection process and wanted to put his stamp on the decision before he formally leaves the company in August. In fact at one point when one journalist asked Kris Gopalakrishnan (Co-Chairman), if it was true that Subhash Dhar, Infosys present head of Sales and Marketing and a member of the Executive Council, was leaving, Kris hesitated for a moment, unsure of how to answer that question. Till Murthy leaned in and spoke to him briefly and Kris immediately confirmed that the news was true. Dhar was leaving the company to become an entrepreneur. Dhar and Chandrasekhar Kakal were the other two senior Infosys leaders to get elevated to the Executive Council (the highest decision making body in Infosys) along with Vemuri, Bala and Srinivas in late 2007. The rumours of Dhar’s leaving have been doing the rounds for two weeks now. The Executive Council looks set for a reshuffle too. The news of these three appointments over shadowed what was to be an emotional day for the company and the Murthy family. AS farewells go, it was lackluster, long drawn and very boring. The shareholders hi jacked a carefully planned event, giving long monotonous speeches about Murthy and his greatness instead of asking any meaningful questions. One after the other they got on to the stage singing songs (including a Gujarati lady who traveled specially from Bombay and sang several Bollywood numbers) in praise of Murthy and the company. Many of them had brought handwritten speeches running in several pages, in Kannada and Hindi, which they insisted on delivering in toto. Despite several requests and at times a firm no, they kept at it, pushing each other out of the way to get a chance to speak on the mike. Murthy, patient for most part and not wanting to offend anyone at his farewell, finally had to show the resolve that he is so famous for and forcefully ended the tirade. “People have flights to catch” he said when one shareholder refused to leave the podium. The only bright spark was CFO Bala’s presentation, chronicling the company’s achievements in the last 30 years. It was set to Bollywood and IPL theme showing Murthy in bizarre outfits, morphed as Rajnikanth, Salman Khan and even Katrina Kaif! Over the top and clearly aimed at pleasing the gallery, it connected with the audience, managing to evoke the necessary laughter. Murthy seemed not to mind, showing a rare side of his. Despite his uprightness, he doesn’t mind if people he likes take some liberties with him. I cannot imagine any other Chairman allowing something like this. In fact as a fellow journalist rightly commented, can you imagine Premji (Azim Premji, Chairman, Wipro) allowing something like this? Watching all this were his family Sudha, son Rohan and daughter-in-law Lakshmi Venu. While Sudha Murthy and Rohan must be used to all this, I could only imagine what young Lakshmi must be thinking. It was also Mohandas Pai’s (Director HR) and K Dinesh’s (Co-founder) last AGM. Pai’s family turned up in full strength, while wife Kusum chatted amicably with Sudha, Pai’s sons sat with Rohan and Lakshmi. It was nice to see the camaraderie between them even if Pai’s exit has been acrimonious. AS the AGM ended, a good two and a half hours after it began, Pai walked out alone from the stage where his family was waiting for him. He looked so somber and choked on emotion, refusing media interviews, only seeking the reassurance and affection of his boys, who look like his carbon copies. When one of them asked him if he needed to stay, perhaps for the press conference after the AGM, Pai said “What for”? “From now onwards, I am just a shareholder”. While the rest of senior leadership hung around, for the sumptuous South Indian spread mingling with journalists and shareholders, Pai left with his family. For him there would no longer be after parties, gossip with colleagues on how the event went, or even the joy and camaraderie that comes after years of working together. It left me reflecting on how much we give up for our work, how much importance we give to our jobs and organisations. How much we sweat and toil for the glory that comes with our jobs. But in the end, when it is all over, no matter what our stature, we are alone. And at that time it is only our families that hold us together. Very well written...especially the tailpiece. Lovely artilce - well written, gives a peek into the other side and has captured the mood - a welcome read amidst several 'glory be to murthy and family' articles. Really liked the article. nice work author. !